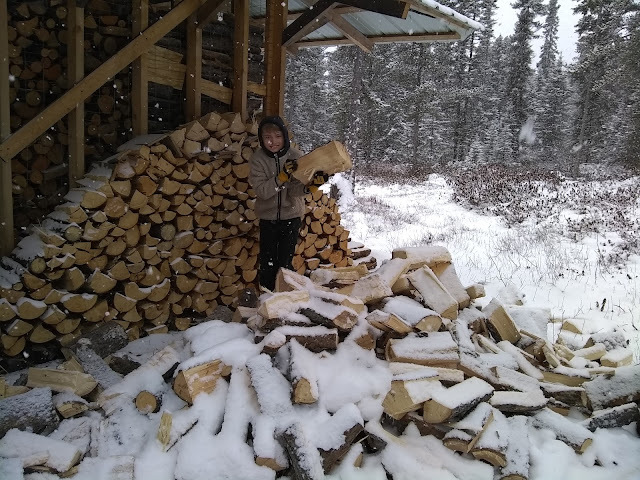 It's always four times the fun piling wood when you have double the helpers! Love to see the smiles! Cold Morning in the Cabin!